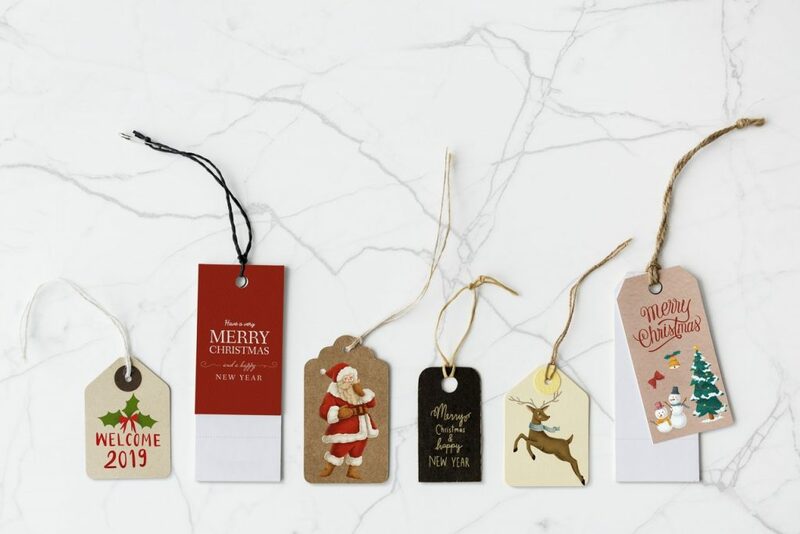 Staying on top of everyday life can be tricky enough, but with Christmas just over 8 weeks away it’s essential to get yourself organised now to ensure smooth sailing. The time will fly by. Work starts getting crazy with Christmas get-togethers and jobs to be finalised, schools start finishing up with end-of-year concerts, then throw into the mix Christmas shopping, decorating, cooking, baking, cleaning and gardening. Phew! If you have school-aged children, then you have even less time if you want to get your Christmas present shopping (and wrapping) completed before they finish school for the year. But there’s no need to panic! All you need to do is set aside a little time and get yourself organised. This year will be different for me. For over a decade I’ve hosted Christmas Eve dinner for my parents, siblings, nieces and nephews and usually cater for over 20 people. As we’ve moved this year, it’ll just be our little family unit of 5. But even though Christmas will be simpler for us, there’s still a lot I want to fit in. So, I’m getting organised now. To start with, I’ve printed a small, simple calendar for Nov/Dec on a piece of A4 paper and placed it above my desk with a countdown to Christmas. It’s a great visual as time melts away so quickly and there are only so many weekends to cram things in. On the calendar I’ve scheduled shopping days mid-week before school breaks up, as well as the boring big cleaning jobs like the oven and sorting out the fridge/freezer (it’s going to start working double-time come December). 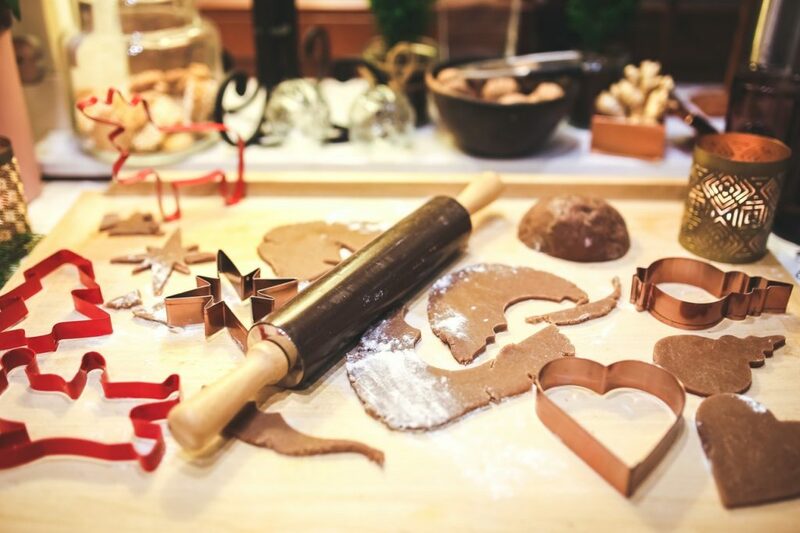 Weekends are filled with Christmas activities we can do together as a family like baking mince pies, a visit to the Christmas Carols, gingerbread house making and crafts. It’s amazing how quickly the days get filled up! Next up are LISTS. Oh so many lists. Bel is the Queen of Lists, and has a multitude of them for pretty much every aspect of her life. Work, blogging, family, birthdays, gifts, Christmas, house improvements, investments……. It’s endless. But it works. If you jot it down, get it out of your head, you’ll never forget it. Don’t forget grandparents, parents, siblings, children, work colleagues, class mates, neighbours. Include in this list stocking stuffers, bonbon trinkets, prizes for Christmas games, and a few handy backups just in case. Once you’ve got your list complete, sort them into groups by store. This will ensure you don’t forget anything and then have to make a return trip to pick up a forgotten item. Start with creating the menu for your Christmas celebrations and list all the ingredients you’ll need. As we mentioned previously, if you pick up a few items every time you go shopping, you’ll spread the cost over numerous weeks. Don’t forget any baking you might like to do or edible gifts. Christmas cake and pudding, mince pies, chocolates, nuts etc can all add up. Do you need to purchase anything new for this year? Think Christmas lights, plants, tree ornaments, garden ornaments, table decorations, bonbons, centrepieces, advent calendars etc. List any activities you’d like to do in the lead up to Christmas such as attending Carols by Candlelight, viewing Christmas light displays in the neighbourhood, making Christmas crafts, family gatherings, mince pie making with Nana, gingerbread house making with the kids etc. Things like wrapping paper, sticky tape, gift cards, name labels, bows and ribbons, sticky tape, napkins and tablecloths, Christmas cards and stamps etc. Don’t forget the sticky tape! Once you’ve got everything written down, then you need to start scheduling things in to your calendar. If you can, schedule things in sooner rather than later to ensure you don’t run out of time. It’s inevitable that something unexpected crops up so it’s good to have some flexibility in your schedule. 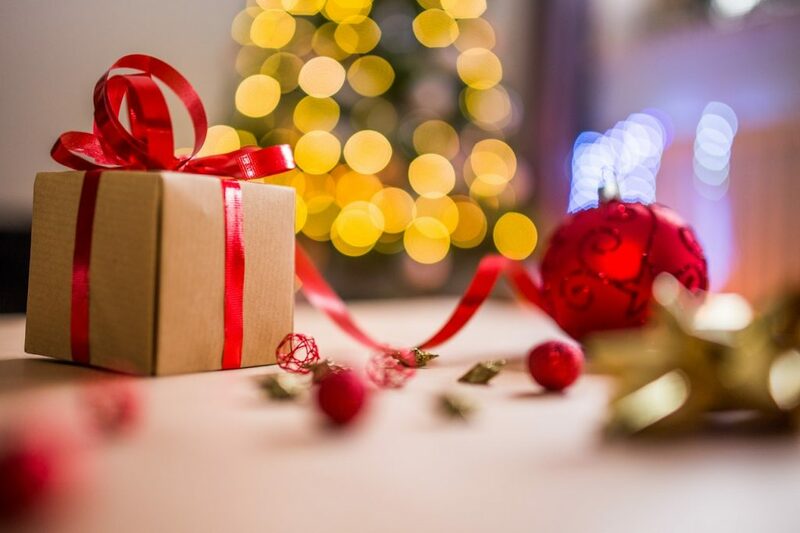 Non-perishable gifts can be purchased at the beginning of November and put aside, bonbons can be made and stored, Christmas cards can be written early and posted later. Try to complete as much of your list early where you can. Be efficient with your time. Add Christmas food items to your regular weekly grocery shop to save time, leaving only the fresh fruit and veg until closer to the day. 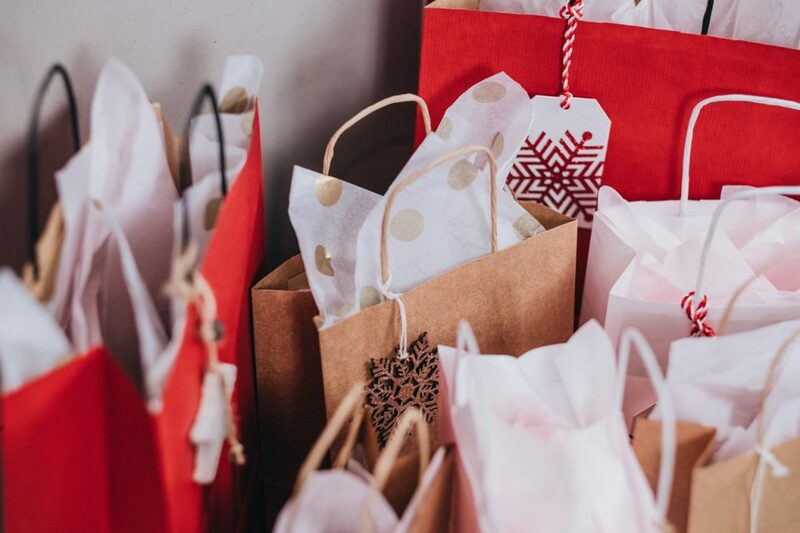 If you’re heading into a department store to pick up a few gifts, take your other lists with you to see if there’s anything else you may be able to pick up. Check out things like wrapping paper and tags, Christmas cards, bonbons and ornaments. You may cross off half your list in one go. When it comes to getting your house ready for guests, try not to leave too much to the last minute. Big cleaning jobs like cleaning the oven, sorting and cleaning the fridge/freezer, cleaning windows, tidying up outside can all be done in November leaving only a light going-over in December if needed. Dusting, mopping the floors, cleaning the guest bedding/towels can be done a week before. Two or three days before, vacuum and clean the bathroom/toilet. Don’t be afraid to delegate jobs to ease your workload and most importantly, don’t flap. Your guests are there to enjoy Christmas with you, they won’t care if you haven’t mopped the floors. Christmas is a time of family, celebration and fun. Regardless of how you celebrate Christmas, you should enjoy the season with as little stress as possible, and that just comes down to planning. Take some time out today, grab a pen and paper and write down every Christmas thought that’s in your head. You’ll be much better prepared to tackle Christmas if you take the time to get yourself organised first. Good luck! Click here for a free copy of our Nov/Dec calendar.